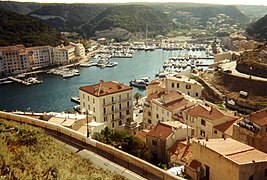 Corsica is an island in the Mediterranean Ocean that is a department of France. Corsica means "island of beauty." This page was last edited on 8 November 2017, at 07:04.